Millennium Strategic Investments specializes in lucrative real estate acquisitions in the Washington, DC metropolitan area. We are committed to identifying, analyzing and implementing strategies that result in consistent, above-average returns. Washington, DC, September 10, 2018 --(PR.com)-- Millennium Strategic Investments (“MSI”) is pleased to announce the launch of its premiere real estate investing private equity fund, MSI Wealth Management Fund LLC (the “Fund”). MWMF (the “Fund”) was formed with the purpose of acquiring, managing and selling undervalued and distressed residential real estate assets with the intention of providing its investors with investment returns that combine income, principal investment growth, and elements of capital preservation. The Fund is managed by Millennium Strategic Investments LLC, a Virginia company formed in 2007 that specializes in real estate acquisition and management. MWMF is also managed by two highly experienced real estate investing professionals and a board of advisors with a total of 63 years of experience in the Washington D.C. Metro real estate market. Under the management of Millennium Strategic Investments LLC, the Fund will offer accredited investors the opportunity to invest in attractive properties in the Washington D.C. Metro Region and put to work MSI’s extensive investment expertise, established business track record and strong network of real estate professionals. Millennium Strategic Investments LLC will approach the management of the Fund with an opportunistic strategy using four primary investment strategies in the Washington D.C. Metro Region: wholesaling, rehabbing, cash flowing on properties retained for rental income and hard money lending. In the long term, the Fund plans to add residential land development projects along with expansion into commercial real estate ventures to its repertoire. The collective experience of the Fund’s management team provides its investors with an advantage over investing individually because the Fund is able to quickly and efficiently address any real estate acquisition and management issues. The Fund is also able to invest with aggregated capital, which greatly enhances its negotiation leverage because it can quickly close on acquisition deals without the typical financing delays encountered with institutional financing options. For more details on the launch of MSI Wealth Management Fund LLC or for a free copy of the Fund’s prospectus, please visit www.msiwealth.net. 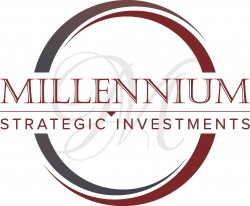 Millennium Strategic Investments LLC was founded in 2007 with the vision of being a preferred real estate investment partner in the Washington D.C. area. MSI works with real estate investors of all magnitudes to create wealth and financial security by making lucrative real estate deals throughout the Metropolitan Washington D.C. area. Our mission is to develop strategic real estate investment plans that minimize risk and maximize profits for both short-term investors and those who wish to build wealth by increasing their portfolio of properties. Our programs reduce the risks associated with purchasing bank-owned, auction, and pre-foreclosure properties, empowering the client to make smarter real estate investments.